I have been coming to the Parsippany site since I accidentally drove past it exploring the area. My family and I moved from North Brunswick, so we were familiar with Cluck U both in New Brunswick and the North Brunswick site that closed down a few years back. 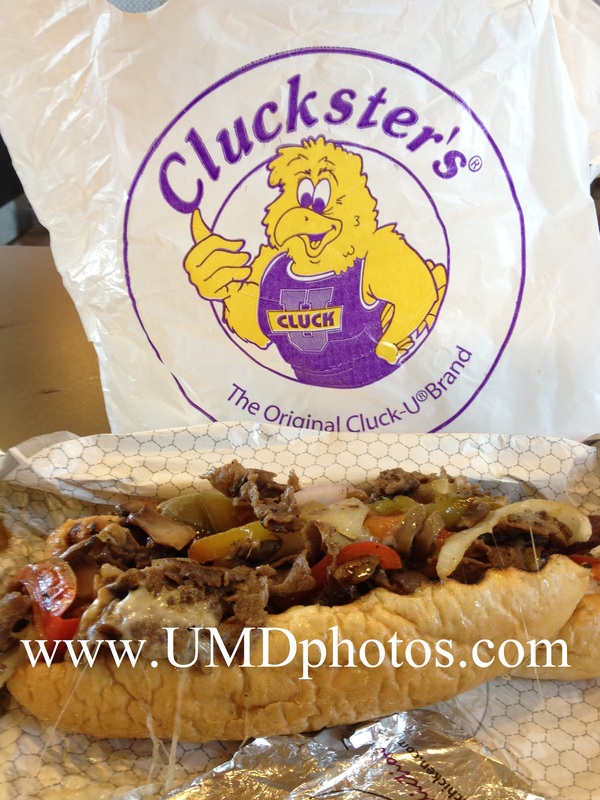 We've always been fans of Cluck U and were pleased that it was only a 12 minute ride, not to mention late hours. I travel for work and I get home from the airport around 10 - 11pm, so It was nice to grab my favorite wings/boneless wingers instead of the usual burger joints that are open late for dinner. Also, the group at Parsippany treated me well. Knew who my son and I were when we stopped by and took great care of us. Yesterday I find out they are closing TODAY 7/22 and moving to Hackensack. I am sad to see this move take place and naturally I am not clear on why this is happening, but if they were struggling at this location, I can understand this. The closest one near my home is now in Morristown which is also a good place, but the traffic getting there and back is ridiculous and reason not to continue buying Cluck U. Hackensack is no different with regards to traffic (if you're familiar with the drive on rt 80E/W and 46E/W, you know what I'm talking about at any hour of the day). Not sure where in Hackensack it's opening up, but traffic in Hackensack adds to the crazy long ride. Looks like I'll have to give a new place a try once dicovered or really be interested in getting these wings discounting fuel, travel and time loss. Good luck to the folks in the Parsippany location! I hope your commute isn't longer. Why are the prices in the Toms River location so much more than all the others. I used to be a consistent customer of theirs until they raised the prices of the wingers buy 4 dollars for 15 wings. Thats A crazy increase and all of the other locations still sell them for the same price. That was not the only thing to increase almost the entire menu jumped in price by a decent amount. I took my girlfriend on our first date to Cluck U and I'll tell you right now, the food is phenominal, some of the best garden salad I've ever eaten in my entire life! My girlfriend loved it after ordering 3 orders of the spicy buffalo 911 boneless chicken wings! I'll tell you, I would eat here every single day if my arteries weren't going to clog up and explode all over the counter. Also, this site is so helpful and formal! The coupons are AMAZING! 0.9% discount off on the cheesie stix! THE TRIVIA IS OFF THE HOOKS! Anyways, the garden salad came out mad fast and tasted hella delicious. My only complain is that my girlfriend lost every ounce of chicken she put in her mouth after her colon exploded all over my apartment.. It was fun cleaning up but it wasn't a great smell.. Anyways, the garden salad is the best thing on the menu by far, especially with the 911 sauce! I have never in my life experienced what I did with this place !!!!!! READ ME !! Last night on 01/16/2016 I ordered from the Cluck U restarant in Union NJ on Morris Ave. Let me just start by saying the food is great but last night I have expierienced the worst customer service and fraud it will definitly be the last time I order from this place. My order was delivered incomplete and so I called Cluck U to let them know that maybe the driver just forgot it or maybe they could discount it from my order instead I was called a liar and told that they needed to "take care of customers" what am I not a customer to them ???!!!!! Then I was hung up on I could not believe what had just happend!!! I am also 2 months pregnant and cannot stress out about anything because I can lose my baby, I wanted to go in and confront this animal ( Sorry insult to Animals ) But because of my state I have taken this approch and let everyone know how discusting and unbelieveable this was. I am going to dispute this charge with my credit card company and Cluck U will never get an order from me again. We really enjoy eating at your store in College Park, MD. The staff is friendly and the service is great. The www.UMDphotos.com CREW! Dudes @ Randolph Cluck U are on point. keep up the good work! Welcome and feel free to try the new site and give you feedback about it. We feel it Do you?